Welcome to our tutorial on how to install WordPress. Over the next few minutes, I'll show you the steps needed to install the WordPress publishing system on your own domain or web server. As you already know, WordPress is a free, open source software package that you can install on a web server to create a fully featured web site that can be managed using just your web browser. WordPress is available for download from WordPress.org. Before we begin the install, there are a few things you'll need. First of all, you'll need a good web hosting provider. Most web hosts provide shared space on a web server for less than $20 a month. And these days, most providers also include tools to install WordPress on your web server with just a few clicks. Still others provide simple scripts that enable you to set up your database, enter the site name and description, create your WordPress admin account, and then install WordPress with just one click. But in this video, we'll cover the steps to manually install WordPress on your own web server. To do this, you'll also need four things. First of all, you'll need FTP access to your web server, which should've been furnished to you by your web hosting provider. Second, you'll need an FTP client. This is a desktop application that enables you to copy and transfer files from your own computer to your web server. FileZilla and Cyberduck are a couple of free FTP clients for both PC and Mac. In this video, I'll be using Transmit, one of the best FTP clients for Mac users. Third, you'll need a text editor like Notepad or TextEdit. And last, your web browser of choice. Chrome, Safari, or Firefox are best because they support all the latest HTML5 and CSS3 web standards. Internet Explorer does not. 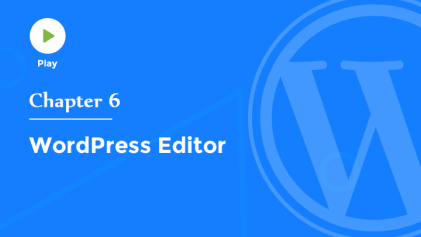 To install WordPress, we'll essentially complete five steps. First, we'll download the latest version of WordPress from WordPress.org. Then we'll upload those files to our web server using FTP. Third, we'll create a MySQL database and user for WordPress. Then we'll need to configure WordPress to connect to our newly created database. And last, we'll complete the installation and set up our new website. So let's get started. First, let's download and unzip the latest version of the WordPress software from WordPress.org. When WordPress is finished downloading, I can switch to my downloads folder and locate the newly downloaded .zip archive. I'll double click the archive to expand it. And now we need to upload these files to our web server using our FTP client. So I'll switch to my FTP client, Transmit, and locate the newly downloaded WordPress files. Then I'll enter the FTP credentials furnished by my web hosting provider and connect to the web server. Most FTP clients work in a similar manner. On the left-hand side are the files on our own computer. And on the right-hand side, the files on our web server. I'll simply select all the files on the left-hand side and then drag them to the right-hand side, which will begin uploading our files to the web server. While our files are uploading, let's switch to our web hosting control panel. For this demo, I'm using SiteGround as our web hosting provider. And they use the popular C panel for account management. Now this may look a little different from your own web hosting control panel, but they all offer essentially, the same functionality. You should have a database module that enables you to create MySQL databases. WordPress doesn't store content in files, but rather in a database. 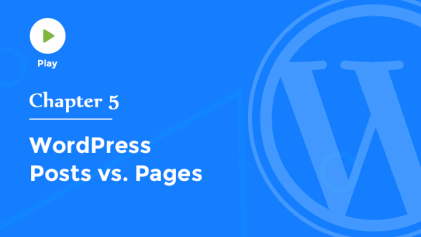 And each page in your site is created dynamically by WordPress, every time a visitor loads one of your pages. So I'll enter a name for our database, which will have this prefix at the beginning, and then click Create Database. Next, we'll also need to create a MsSQL user with permissions to access and modify this database. It's a good idea to use a secure password generator, but be sure to save these credentials because we'll be using them again in a couple of steps. Now before we leave the screen, we'll need to add our newly created user to the new database, and ensure that this user has permission to modify the database. Now that our database is set up, we need to connect WordPress to our newly created database. Switching back to our FTP client, we see that our files have finished uploading now. WordPress looks for the database details in a file named wp-config. So I'll rename the sample file to simply wp-config.php. Then I'll double click this file to open it in my text editor and fill in the database details we created during the previous step. It's also a good idea to further secure your WordPress installation by entering unique phrases for each of these authentication keys. I'll open the link for the WordPress secret key generator in a new tab in my web browser. This tool automatically generates a random set of secure authentication keys we can use to further secure our WordPress installation. I'll copy these directly from the browser window then switch back to my text editor and paste them into our wp-config file. Now I'll save and close this file. And finally, we're ready to run the WordPress installation script. I'll simply enter the site's web address in my web browser and WordPress will prompt me to fill out a few remaining details, including the site's title, an administrator username, password, and a primary email address. Now don't lose these because you'll need them to log into the WordPress administration area. Well, that's it. Now WordPress is installed on our web server, and we're ready to begin building our new website. 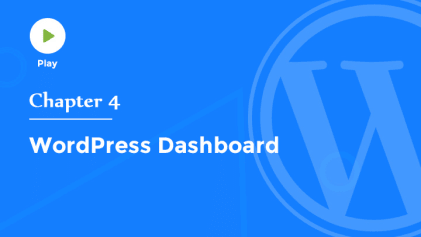 To access the WordPress administration panel and begin managing your site's content, simply type wp-admin at the end of your website's URL to pull up the login screen. Enter the admin username and password we chose earlier, and then click the login button. Well, I hope this video's been helpful, and that you're now ready to install WordPress on your own web server.